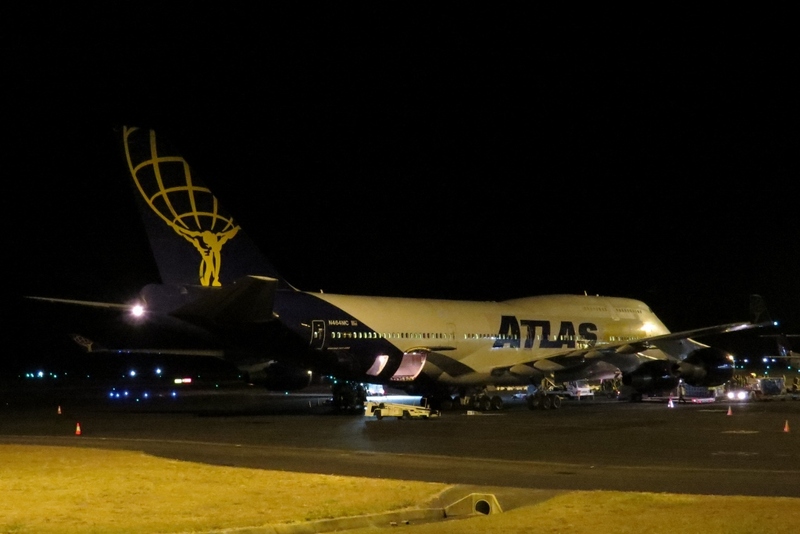 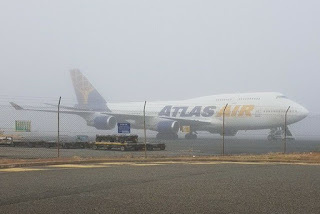 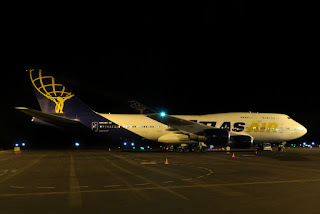 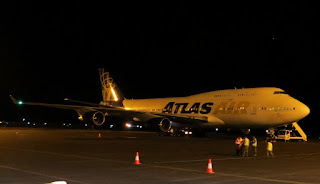 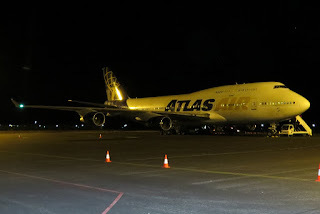 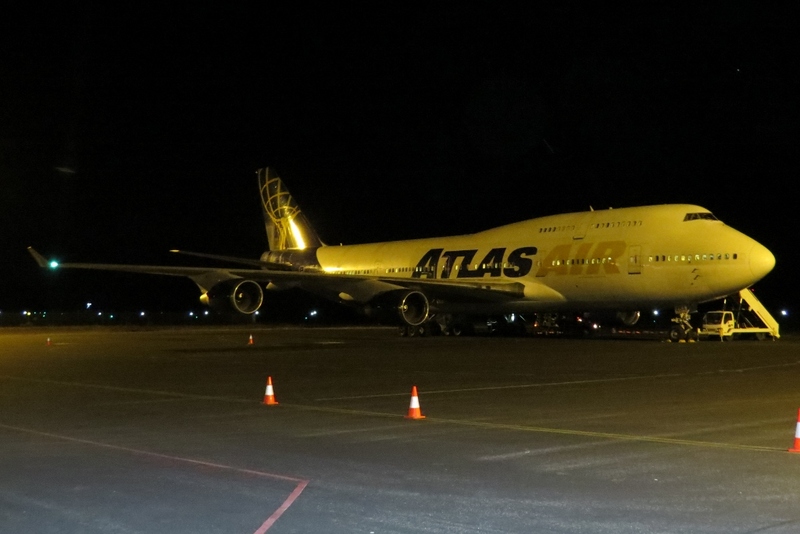 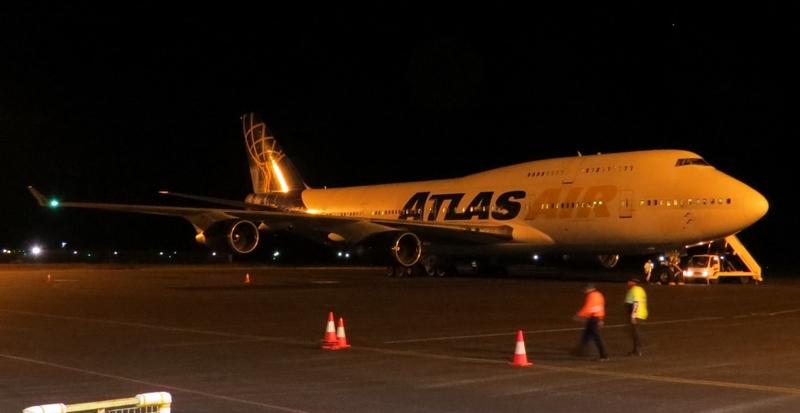 After spending the night parked, on Monday 11 June, the visiting Atlas Air Boeing B747-446 N464MC departed a foggy Rockhampton Airport bound for Daniel K. Inouye International Airport (Honolulu) as GTI8363 "Giant 8363". As we posted below, late on Sunday 10 June, N464MC touched down at Rockhampton Airport directly from Hickam Field (formerly Hickam Air Force Base) in Hawaii, flying in as GTI8362 "Giant 8362". 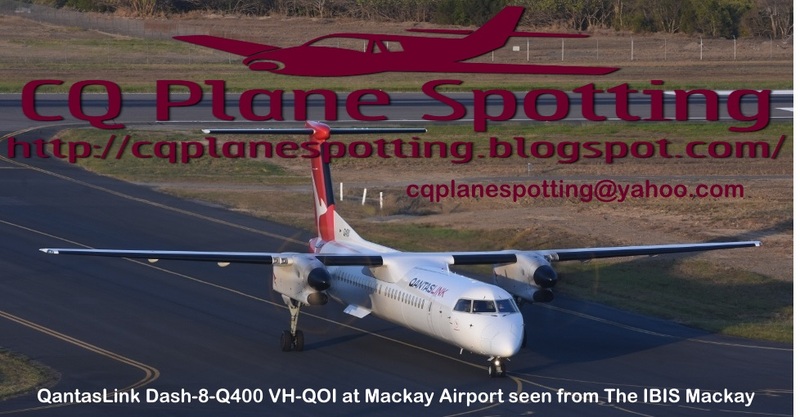 Many local plane spotters were on hand at Rockhampton Airport as the jumbo jet made a very quiet landing on Rocky's Runway 33 before it taxied in and parked on Gate 6 on the Southern end of the Rockhampton Airport parking apron. 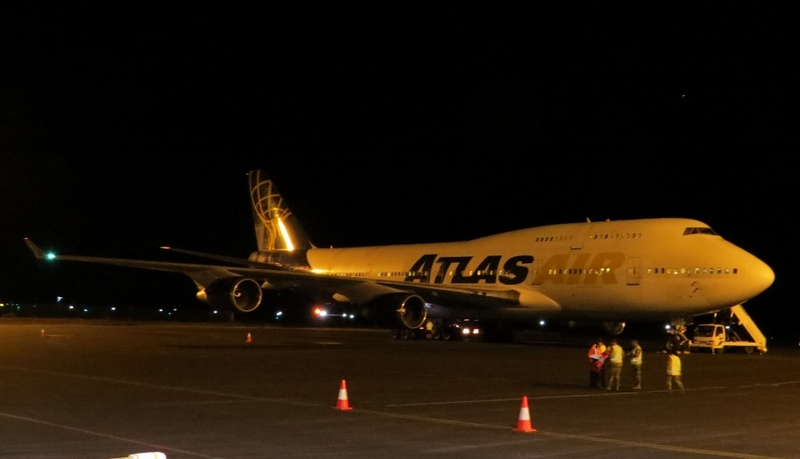 What looked to be a full plane load of personnel and their bags and equipment was unloaded. 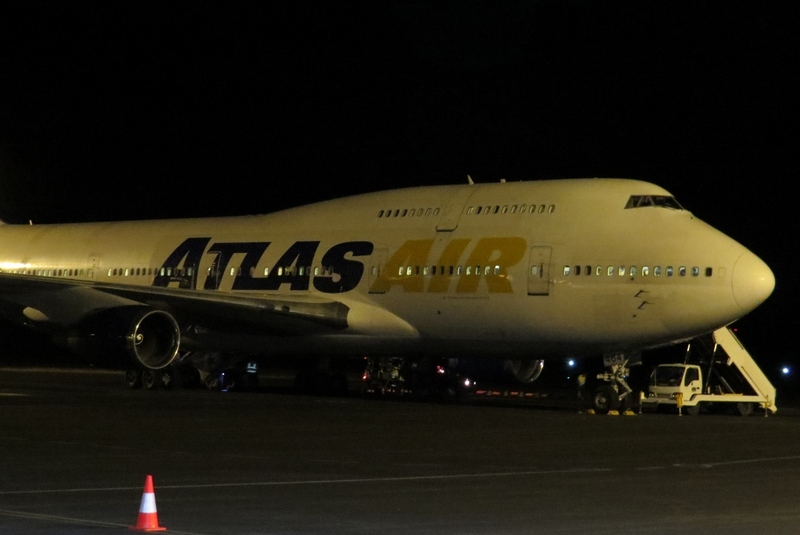 Local media reports suggest that the personnel are of the 76th Infantry Brigade Combat Team ("Night Hawks") of the United States Army National Guard based in Indiana. They are in town to participate in the upcoming joint Military Exercise Hamel 2018 which will soon get underway in the Shoalwater Bay Training Area (SWBTA). 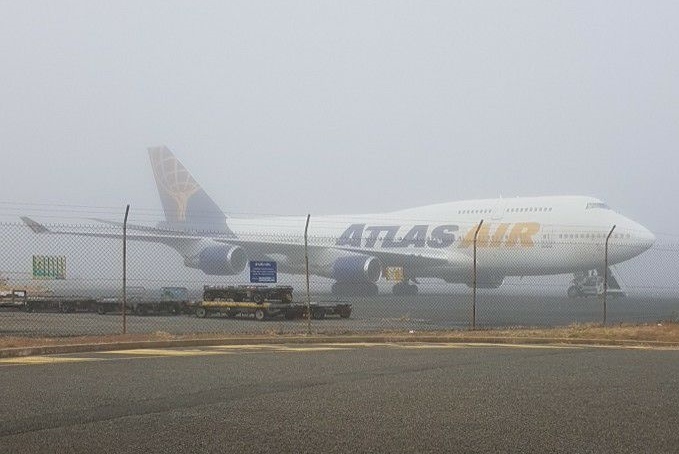 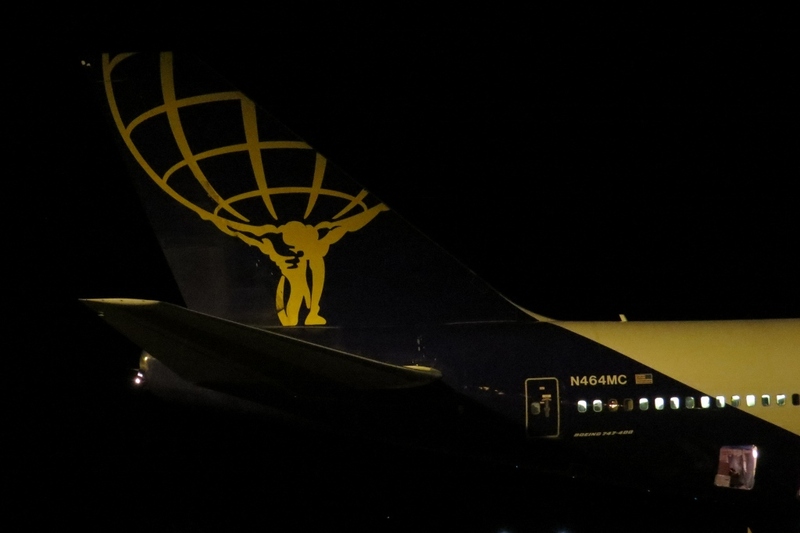 Sincere thanks to local plane spotters Maryann M, Kayanne H and 'IAD' for taking the time to capture and send through these great photos of the Atlas Air jumbo!